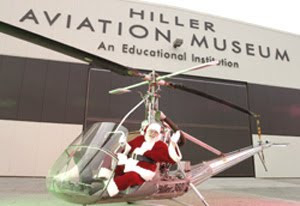 Santa arrives by helicopter at Hiller Aviation Museum this Saturday, December 5th at 10 a.m.
Hiller's doors open at 9:30, and admission is free. Join along in Christmas Carols with the San Carlos Community Band, and munch on cookies, candy canes and soda. Then make your kids run around for awhile before you try to get them back in the car. Santa's lap is available for short term rental from 10 a.m. to noon - kids only. 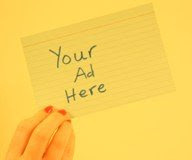 The event is sponsored by the San Carlos Chamber of Commerce.